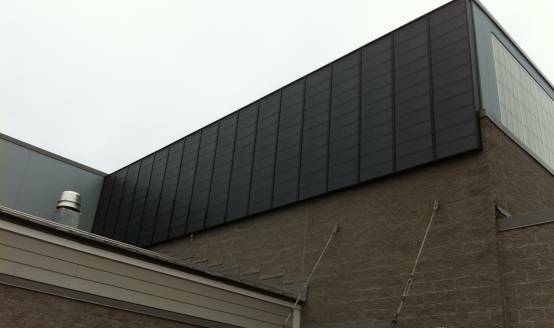 Shift Energy completed the fourth of four separate solar air heating systems in Kingston, New Hampshire to round out what is the largest combined solar heating system in New Hampshire and New England (as of 2011/12). This case study is one of four constructed on the site. 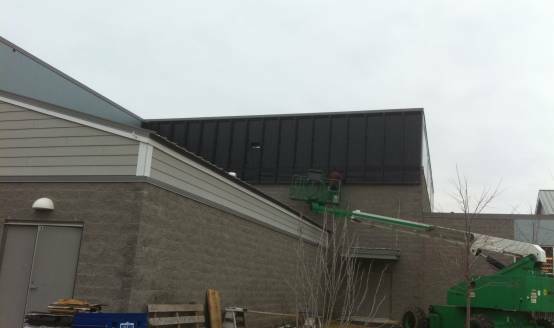 This fourth wall is a 650sf combination ventilation/space heating system mounted on the south facing wall of the mini-gymnasium at the high school. 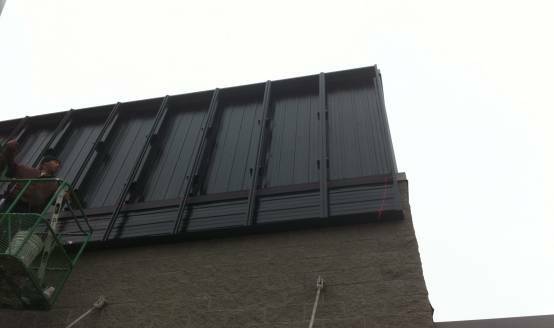 The wall provides 1,300cfm of ventilation air to the space, at temperatures routinely well above space heating temperatures. 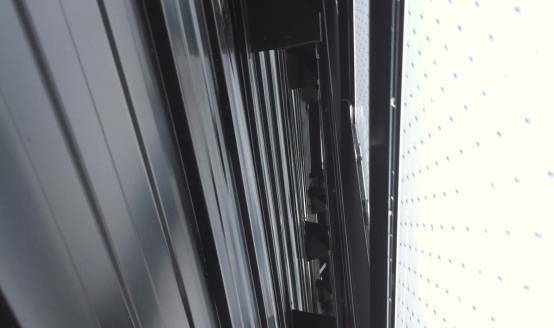 The solar heat is delivered directly into the gymnasium via a fabric duct by which also helps de-stratify lost heat at ceiling level. TEMPERATURES: On sunny January days at 32 degrees, the wall is capable of delivering 80 to 90F temperatures to the space, which means that whenever the sun shines inside approximately 9am to 3pm in the winter, the solar hot air system provides space heating and replaces conventional HVAC heating as well as providing space heat.